This are freshly baked breads from the oven, the 2 at the back are white and malt and smell delicious and the one in the foreground is apricot and chocolate, I couldn’t resist. 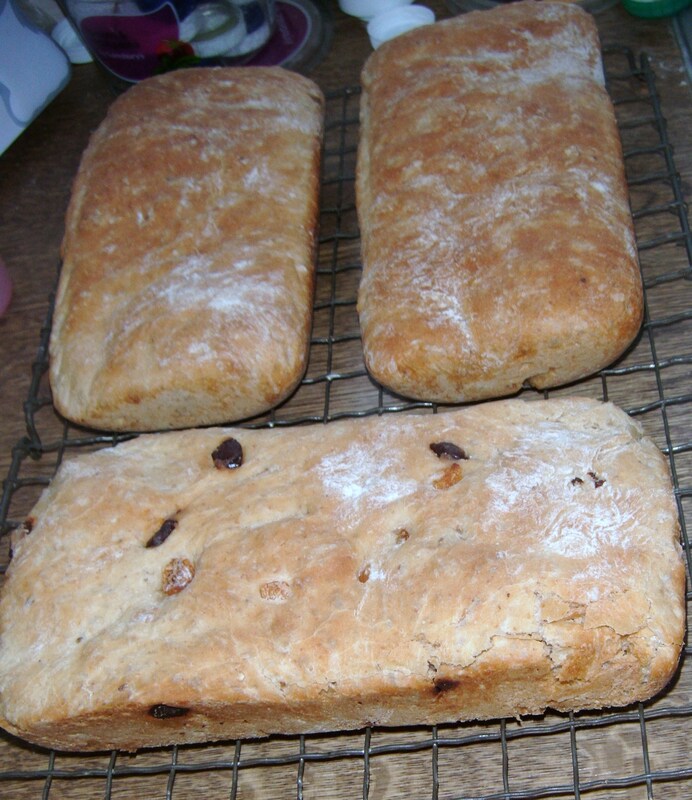 Making bread is something I’m keen to make more of, it is just as exciting and twice as rewarding. Why have shop bought, mouldy bread when making your own. You can achieve so much more and introduce so much variety and passion in to a loaf as you can with anything that you’ve made yourself. I can’t begin to tell you what idea’s are beginning to buzz through my head whether they be savoury or sweet loaves I haven’t yet decided. I may even make a couple of tear n’ share as they will be fun to make and they will have a uniqueness about them and guess what there all dairy free and there will also be a whole lot of tasting to savour the flavour. Once the bread dough has had its initial prove and has been knocked back, you can then start adding interesting flavours to an otherwise basic bread dough.